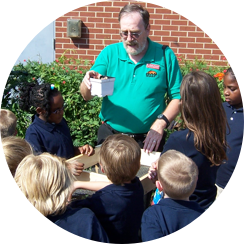 Beginning in 2002, MAEF, the Maryland State Department of Education (MSDE), and the Maryland FFA partnered to provide the services of the Maryland FFA. Acting Executive Director, Terrie Shank, provides day to day administration of the state officer program and state competitions. For more information please contact Terrie via email tshank@maefonline.com or phone: 301-663-4192. Chartered by National FFA in January of 1929, the Maryland FFA Association is the oldest of the five Career and Technology Student Organizations operated within Maryland public schools. With a federal charter, FFA is an integral part of 7-12 grade agricultural education. FFA makes a positive difference in the lives of students by developing their potential for premier leadership, personal growth, and career success through agricultural education. FFA was formerly known as Future Farmers of America. Also, please visit the Maryland FFA website or the National FFA website for more information about the organizations and their events.